Roger Bowden was interviewed by Look East on BBC News as part of a piece on the future of Milton Keynes. Roger has lived in the area for many years and has built the Niftylift business from scratch in the town. He has some great suggestions as to what the future should hold for the area which he shares with the viewers. 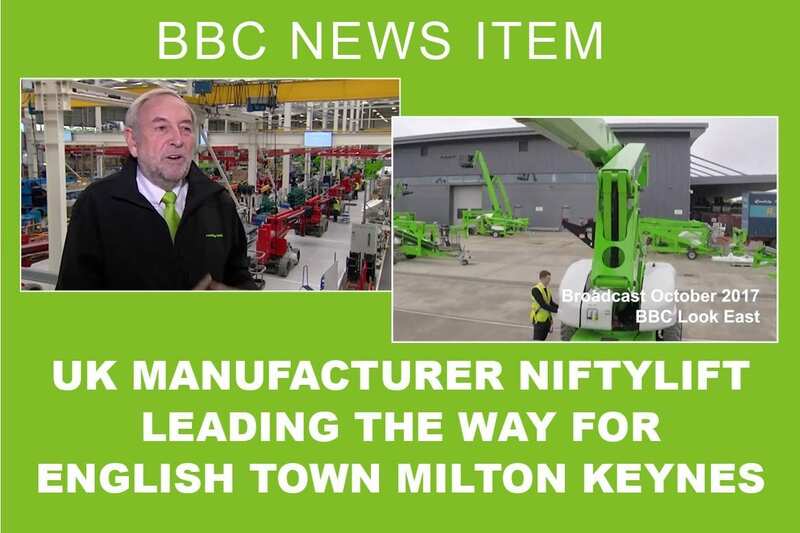 Niftylift has recently built a new state-of-the-art factory in Milton Keynes to add to the original factory which is still used by the company in the town. Niftylift is a big employer for Milton Keynes and as such the future of Milton Keynes is tied to that of the company.